We spend a lot of time on the road, whether traveling or just running errands. Lydia loves to listen to music. But WOW!! some of the music is a bit shocking for the pre-teen crowd. I recently bought her a cd and was enjoying some of it right along with her and when the song changed the lyrics of the next song were shocking. There was no warning label on this cd. This was adult themed in the lyrics, nothing a child of any age should be listening to. So many times, we listen to audio books as we are out and about. One of our favorites is the Brinkman Adventures. We recently had the privilege to review their latest project, The Brinkman Adventures, Season 3 Episodes 25-36. The Brinkman Adventures is owned and produced by the Brinkman family. They are a missionary family that have had a lot of great adventures. Their family has turned them into old-fashioned radio dramas. The radio dramas are based on real adventures that the Brinkman family actually do act out. They encourage children to remember to rely on God, even during difficult times. In The Brinkman Adventures, Season 3 Episodes 25-36, they are racing their way around the globe. They are facing new challenges and bringing up old fears as they travel from Africa to Alaska. They are facing wolves, hypothermia, terrorists and a Taliban Jail. But this is just another adventure with the Brinkman Family. If you are not familiar with old-fashioned radio dramas, they are a wonderful way to keep attention. It's not just a typical audio book where you hear one voice for hours on end. The Brinkman Adventures feature the whole family acting out the adventures. You hear the whole family and there is excitement and even fear in their tones. This is all mixed with music. You can close your eyes and almost see what is happening. Radio dramas are a great way to keep the imagination going. You can visit the Brinkman Adventures website to read the story behind each episode. I enjoyed reading about the inspiration of each radio drama episode. The kids could see that the stories were not made up. Another option in using The Brinkman Adventures, Season 3 Episodes 25-36 is that you use the stories in your curriculum along with Geography studies. They provide a wonderful setting to kick off an adventurous study of each location visited by the Brinkman family. You can easily get out a map and follow along. We have thoroughly enjoyed listening to the Brinkman Adventures and can't wait for the next audio adventure that they release. They have truly provided a wonderful resource that the whole family can enjoy together. The Brinkman Adventures, Season 3 Episodes 25-36 would make a wonderful gift for that family who has everything and you are just not sure what to get them!!! 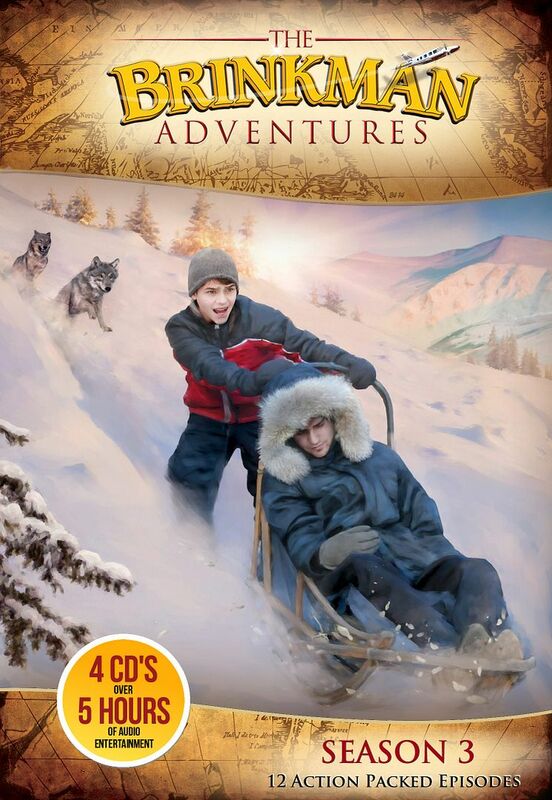 Several members of the Schoolhouse Review were given the opportunity to review The Brinkman Adventures, Season 3 Episodes 25-36, visit the Schoolhouse Review Crew Blog to see how they used these audio dramas in their homes and how they may have enjoyed them.